In the judgment today in JMX (A child by his Mother and Litigation Friend, FMX) v Norfolk and Norwich Hospitals NHS Foundation Trust  EWHC 185 (QB) Mr Justice Foskett was very robust in his view that an offer of 90% on liability was a genuine offer of settlement and beating that offer led to the claimant obtaining the Part 36 advantages. The substantive judgment in this case can be found at  EWHC 3082 (QB). I found in favour of the Claimant on the issue of liability for the reasons given. Damages fall to be agreed or assessed in due course. The trial commenced on Tuesday, 31 October 2017. On 6 October 2017 the Claimant’s advisers put forward a Part 36 offer on his behalf to accept 90% of the damages to be agreed or assessed in due course. The “relevant period” within CPR rule 36.3(g) and rule 36.5(1)(c) came to an end on Friday, 27 October, and thus effectively one working day before the trial began. The offer was not accepted and the Claimant now seeks to invoke the provisions of CPR rule 36.17 on the basis that he has achieved an outcome at least as advantageous as his Part 36 offer: see rule 36.17(1)(b). iii) the recovery by the Claimant of an additional amount to be determined after the damages have been assessed pursuant to rule 36.17(4)(d). Rule 36.17(4) provides that the foregoing consequences must be ordered “unless [the court] considers it unjust to do so”. The Defendant argues in this case that the offer was not a genuine attempt to settle the case because it did not reflect any realistic assessment of the risks of the litigation. Mr Wescott QC draws attention to the fact that the letter making the offer “did not explain why only a 10% discount was being offered for settlement”, something he says that the above Note suggests would be prudent. In his written submissions, Mr Westcott has sought to demonstrate how the Claimant’s team should have viewed the strengths (or, more accurately, the weaknesses) of his case. If I understand the approach correctly, it seeks to demonstrate that an assessment of the risks as being only 10% was a significant under-evaluation of the litigation risk and, accordingly, such an offer could not have been a genuine attempt to settle. Whilst it is unwise ever to say “never”, I do consider this kind of argument to be one which could hardly ever succeed. How one side perceives the risks in a piece of litigation (whether in the clinical negligence sphere or any other sphere) will almost invariably be different from the way the other side perceives them. Quite often in my experience as a practitioner and, more particularly, as a mediator, a settlement of a case was achieved when there were widely differing views of the risks on both sides. Settlement did not require a meeting of minds on the nature of the litigation risks of each side. Quite how a judge can successfully embark on the kind of exercise I am being invited to embark upon is very difficult to see. Mr Nolan is right to say that it is almost akin to embarking on a mini-trial in the post-trial situation in order to determine how the case should have looked to the offeror before the offer was made. To my mind, this is an exercise which ordinarily should not be carried out and I am sure that most judges would not regard it is a welcome process, preferring the broad brush approach referred to in the note in the White Book. I see absolutely no reason to embark on this process in this case. Mr Westcott submits that clinical negligence cases are “notoriously hazardous” and they “can seldom be regarded as ‘open and shut’.” He says that “litigation risk” in clinical negligence cases “is often regarded as being in excess of the sometimes ‘conventional’ 10%.” I am not sure, with respect, that I can fully accept that formulation both from my own experience as a former practitioner in the field and in other capacities. There are ‘open and shut’ cases and I have observed in another case (Surrey v Barnet and Chase Farm Hospitals NHS Trust  EWHC 1598 (QB), ) that the NHSR (formerly the NHSLA) admits liability commendably early in cases where it is obviously right to do so and where there is plainly no defence. All cases do carry some risk, quite frequently associated with the way a witness, whether expert or otherwise, is likely to “perform”. That may often be difficult to assess, but experienced practitioners can usually reach an informed view on such an issue. 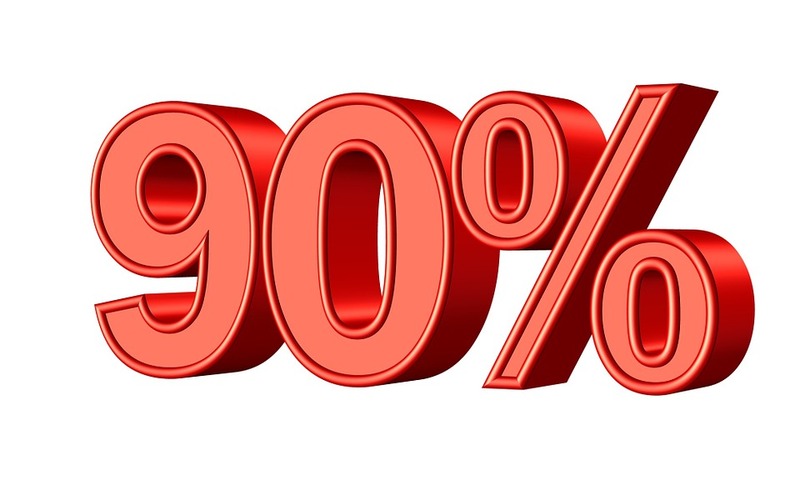 When an offer to accept 90% is made in a case such as this, I would regard it as a case where the Claimant’s team regard the claim as very strong, but is prepared to offer a modest discount to secure absolute certainty of obtaining substantial compensation. That is what Mr Nolan says prompted the offer in this case and I have no reason to doubt that that was so. Whilst, of course, it is open to the offeror to explain this kind of thinking in the letter making the offer if it is thought helpful, I do wonder whether in most cases it would assist. I can see the letter prompting a reply (sometimes expressed in language that does not help the settlement process) and it may be thought better simply to leave it to the recipient of the offer to assess the offer as it stands. If I was to accede to Mr Westcott’s submissions, it could have the effect that a 90% settlement in the clinical negligence sphere is hardly ever agreed. In my capacity as Judge in charge of the Queen’s Bench Division Civil List, I see a great many settlements in this area of litigation (and in serious personal injury claims not arising from clinical negligence) when I am asked to approve the settlement. I have not, of course, kept any kind of record, but my perception is that a wide variety of “percentage settlements” on liability/causation are agreed and approved by the court, including “90% settlements” from time to time. I can certainly recall several in my own practice in my last few years at the Bar. As I have said, if I were to accede to Mr Wescott’s submissions, I can see that no one will ever offer to accept 90% and the NHSR will never agree to it. Mr Nolan is correct that 10% is not a token discount, particularly at a time when the level of damages in serious cases is very significant. I do not know what the likely value of the Claimant’s claim is in this case, but it is likely to run into several million pounds on a traditional lump-sum basis. 10% of such a sum will itself be a not insignificant sum that would have been saved for the public purse had the offer been accepted. Equally, of course, most of the costs of a 5-day trial would have been saved. In my view, this was properly to be regarded as a genuine offer of settlement and I do not consider that it militates against ordering the normal consequences for the Claimant having achieved more than his Part 36 offer as referred to in paragraph 5 above. As I shall indicate below, there was nothing wrong about the Defendant electing to contest the case: there were experts willing to support the Defendant’s case. As it happened, I did not accept that case, which also depended on certain findings of fact being made in a particular way, but that is simply a reflection of the way litigation runs its course. An order of the kind sought by the Claimant does not necessarily carry any condemnation by the court of the Defendant’s position. Part 36 was drafted in a way that provides an incentive to a defendant to view seriously and, where appropriate, to accept a claimant’s Part 36 offer. The decision not to do so may be perfectly understandable and reasonable even if, in due course, it turns out to have been the wrong one. It is simply a reflection of the litigation risk that each party has to evaluate. I should add that in the written submissions from both sides I was told a good deal about the position taken by each side in the negotiations or meetings that took place. I imagine that all these discussions were conducted on a “without prejudice” basis and ordinarily their content would not be referred to the trial judge on the issue of costs. No objections appear to have been taken to this course in this case, but I would take this opportunity to reassert that the content of these discussions, provided they are genuinely aimed at settlement, are ordinarily privileged. I did not find what I was told about what was said and by whom to be of any value at all and, for my part, would think that in most cases it would not assist deciding whether an offer was a genuine offer of settlement. A failure to negotiate at all can undoubtedly affect the exercise by the court of aspects of its discretion (see, for example, OMV Petrom SA v Glencore International AG  1 WLR 3465), but the content of privileged discussions should generally remain privileged: the purpose of the privilege is to enable all cards to be put on the table. A general ‘open house’ subsequently about what was said and by whom during those discussions could endanger the long-recognised utility of the “without prejudice” negotiating process. That can be in no-one’s interests. The final issue is the rate of interest to be awarded on the indemnity costs. 10% above base rate is the maximum. This was a matter that engaged the Court of Appeal in OMV Petrom SA. That was a very strong case on the facts and the Court of Appeal, whilst recognising that it was not automatic, awarded the full 10% uplift for the enhanced rate of interest on the award in the case and the point was made that the purpose of the rule was not merely compensatory. There was, in the present case, a decision not to make any offers by the Defendant, but, whilst the case went against the Defendant, as I have said, there was nothing unreasonable about the decision to contest it. The point, of course, is that now a judgment has been given, the wisdom of accepting the 90% offer is clear. I suspect that whatever rate of interest I award, it is unlikely to make a material difference to the amount payable. In my view, an award of 5% above base rate from 28 October 2017 will do justice to the applicable considerations. ← PROPORTIONALITY: A LITIGATOR’S SURVIVAL GUIDE VI: COULD PROJECT MANAGEMENT HELP?